In this interview with indianexpress.com, veteran Disney animator Mark Henn speaks about how he became an animator and shares his advice for aspiring animators. Mark Henn is a veteran animator at Walt Disney Animation Studios. 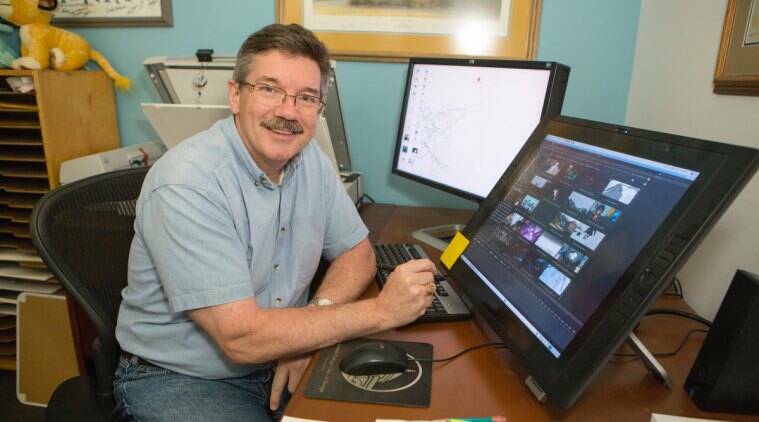 Mark Henn is a seasoned animator at Walt Disney Animation Studios. He has worked on characters like Ariel in The Little Mermaid, Belle in Beauty and the Beast, Jasmine in Aladdin, Young Simba in The Lion King, titular characters in Mulan and Pocahontas, and Princess Tiana in The Princess and The Frog. He was the lead 2D animator on Oscar winning Big Hero 6 and Frozen. His latest project is Ralph Breaks the Internet which hits theaters tomorrow. In this interview with indianexpress.com, Henn speaks about how he became an animator and shares his advice for aspiring animators. When did you realise you wanted to become an animator? Did a particular film inspire you? You are a supervising animator. What are your duties? I and other supervisors are responsible for setting the style and direction of a particular character. We work with other animators to make sure there is a consistent style of animation and an acting quality that the directors want to see in the film. That’s a big part of what the supervising animators do.